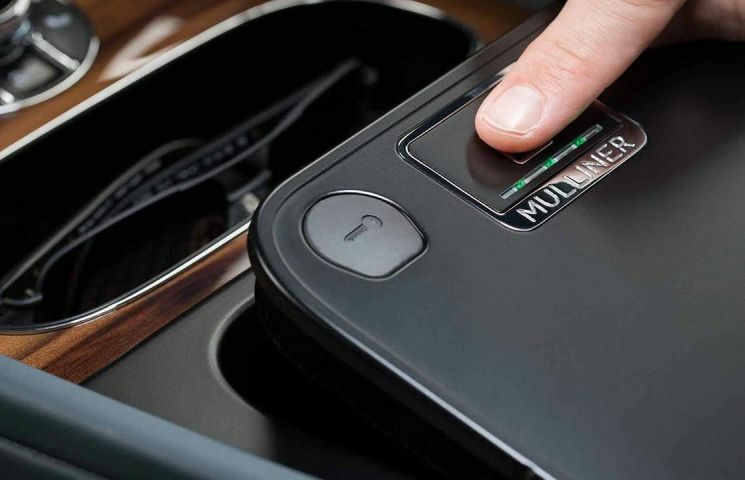 The owners of Bentley Bentaygas will not have to worry about theft anymore with a new biometric security scanner for the storage compartment in their vehicle’s center console made by Mulliner. The storage compartment can only be opened by using the fingerprint scanner and this also provides the added benefit of not having to carry another set of keys. Mulliner, Bentley’s customization division came up with the concept of this scanner. Your valuables can now be safely stowed away in the center console while you go to golf, swim or enjoy your next round of shopping. The capacitive fingerprint scanner has been integrated into aluminum cover of the storage compartment. The compartment has been padded all over for added safety and comes with multiple USB ports and an auxiliary charging port for mobile devices that connect it to the infotainment system’s Apple CarPlay support. The owner can authorize multiple fingerprints to open the compartment so that other members of the family can also have access to the storage area. Mulliner has made several special edition Bentaygas, including one for falconers and another for fly fishing. Mulliner’s new biometrics technology for the Bentayga is an industry first and will definitely make Bentley even more popular with its customers.